Beauty Chat | What are your favorite powder highlighters? 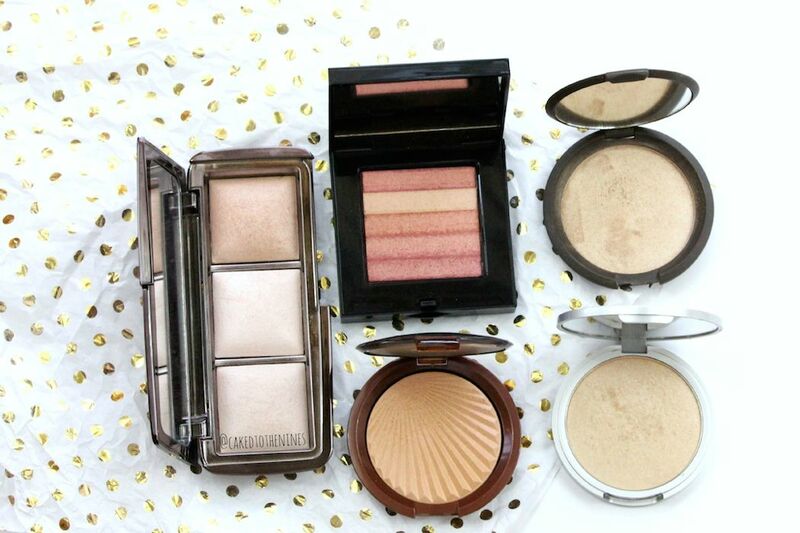 Hourglass Ambient Lighting Palette, Bobbi Brown Nectar Shimmer Brick, Estee Lauder Bronze Goddess (LE) highlighter, Becca Opal, and The Balm Mary Lou-Manizer. I’ve been loving cream products this summer, but that doesn’t mean I’ve forgotten about my powder products. Specifically, my powder highlighters. I know there are lots and lots of powder highlighters out on the market so I want to know what are your favorite powder highlighters? The Hourglass Ambient Lighting Powders are technically finishing powders, but I like to use them as a subtle highlighter. On the days I want a more natural, radiant glow that isn’t too intense, I like to use this palette. This past December I started my love affair with Bobbi Brown and her Shimmer Bricks. I love all of the ones I own: Bronze Glow (LE), Copper Diamond (LE), Apricot (Discontinued), and Nectar (the one pictured above). Nectar is a soft pinky coral shimmer that looks really gorgeous on tan skin. You can use it lightly as a highlight or use it as a blush topper to add more glow to the skin. I thought these were probably just hyped up, but these shimmer bricks are definitely worth the hype. If you want a very intense highlight, Becca Opal will not disappoint. It is a gorgeous golden champagne highlighter that is extremely pigmented. You need the tiniest dash of this to really amp up your look. There’s a reason why the Becca highlighters are so popular! I’ve done a review on the Becca Shimmering Skin Perfector Pressed highlighters in Opal, Rose Gold, and Champagne Gold. You can see what they look like with flash and without. Trust me, though, the camera does not do them justice. Estee Lauder came out with their Bronze Goddess collection for Summer 2015 a few months back and I had to pick up the highlighter from the collection. A lot of people were really disappointed with this product, but I quite like it. If you’re looking for something intense and super pigmented then you won’t like this, but it gives a nice bronzey glow to the skin that is very subtle. Unfortunately, this was limited edition. The last highlighter I want to talk about is another super raved about highlighter: The Balm’s Mary Lou-Manizer. It is a white gold highlighter that is very pigmented, smooth, and buttery. Similar to the Becca highlighters, you do not need much to add a lot of glow to the skin. Thus, you’ll probably never go through a full sized version of this highlighter before it goes bad. What are your favorite powder highlighters? Let me know in the comments below!